Detects hydrocarbon-based fuel and gas fires, invisible hydrogen flames, and fires from hydrorides, ammonia silane, and other organics. 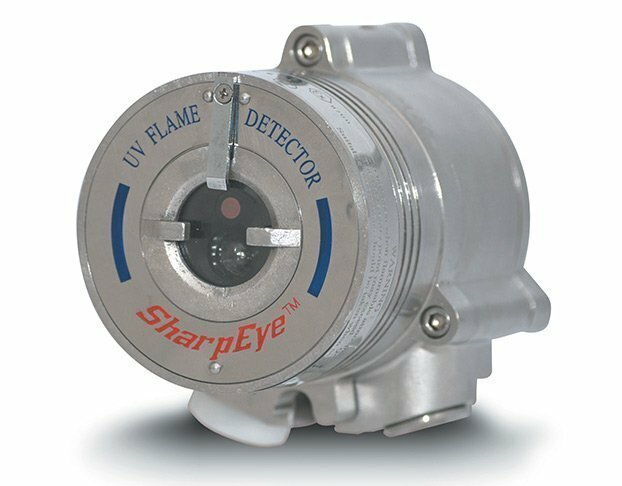 SharpEye™ Ultraviolet Detector with manual test and heated optics. SharpEye™ Ultraviolet Detector with built-in test and heated optics.